Fleming H. Revell Company, 9780800734763, 208pp. This is the story of a friendship. 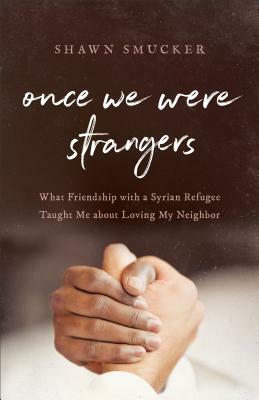 It is the story of a middle-aged writer struggling to make a living and a Syrian refugee struggling to create a life for his family in a strange and sometimes hostile land. It's the story of two fathers hoping for the best, two hearts seeking compassion, two lives changed forever. It's the story of our moment in history and the opportunities it gives us to show love and hospitality to the sojourner in our midst. Shawn Smucker is the author of the novels The Day the Angels Fell and The Edge of Over There. He lives with his wife and six children in the city of Lancaster, Pennsylvania. You can find him online at www.shawnsmucker.com.